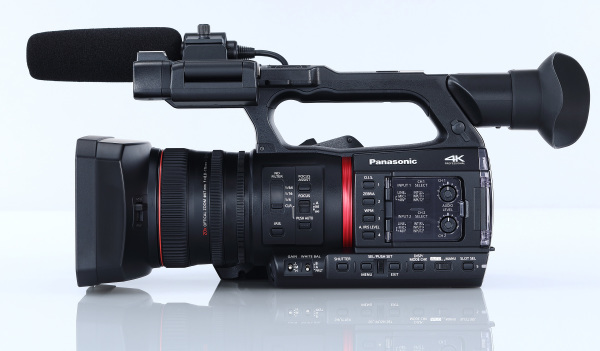 With the new Panasonic AG-CX350 camcorder, Panasonic introduces the 4K flagship model of its new CX Series, which features new live streaming and video-over IP features for broadcast and event scenarios. The Panasonic AG-CX350 Henkelmann has a 4-K capable 1.0-type 15MP MOS sensor as well as a fixed, motorized 20x OIS Zoom F2.8-4.5, 24.5 - 490 mm (calculated at 35 mm) and with its 24.5mm initial focal length is supposed to be Panasonic&s largest wide-angle zoom in its camera class. The zoom can also be operated via 3 manual function rings for focus, zoom and aperture. Recording is done in max. 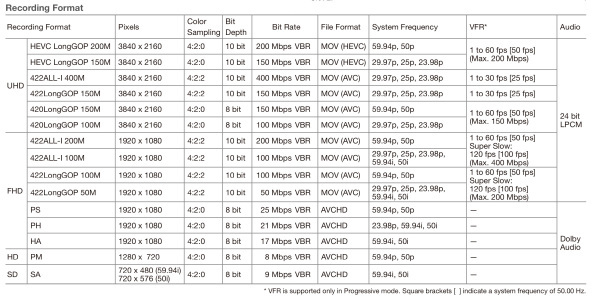 4K 10 bit 4:2:0 60p in H.265 or in 4K 10 bit 4:2:2 30p in H.264 on DXC/SDHC/microP2 cards in the dual card slot. Thanks to low power consumption between 11.5 and 17 W (occupied with H-265 recording and all in/outs) up to 3 hours and 20 minutes recording time non-stop should be possible. 120 fps in FHD are also possible in 10 bit without sensorcrop. The most important new features of the Panasonic AG-CX350 camcorder are likely to be the Video over IP and Live Streaming features. Thanks to RTSP and RTMP streaming protocol support, both YouTube and Facebook live streaming can be output and transmitted directly from the AG-CX350 via LAN or WIFI (USB dongle). For video over IP applications, NewTek supports their NDI / HX protocol via license activation and thus enables video over IP feeds (in HD) without an intermediate converter (incl. remote camera operation). 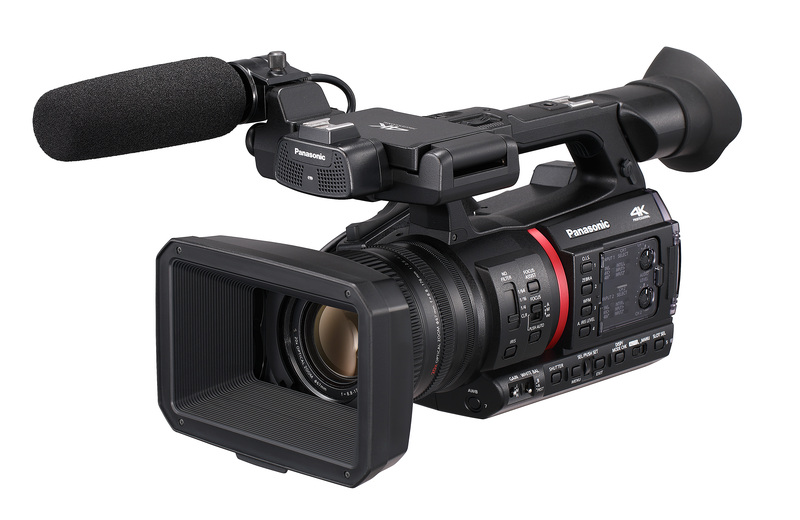 In addition, the Panasonic AG-CX350 camcorder features parallel HDMI and SDI out as well as 24-bit PCM audio support via 2x XLR interfaces. The Panasonic AG-CX350 will be available from February 2019 for 3,850.00 Euro (excl. VAT).